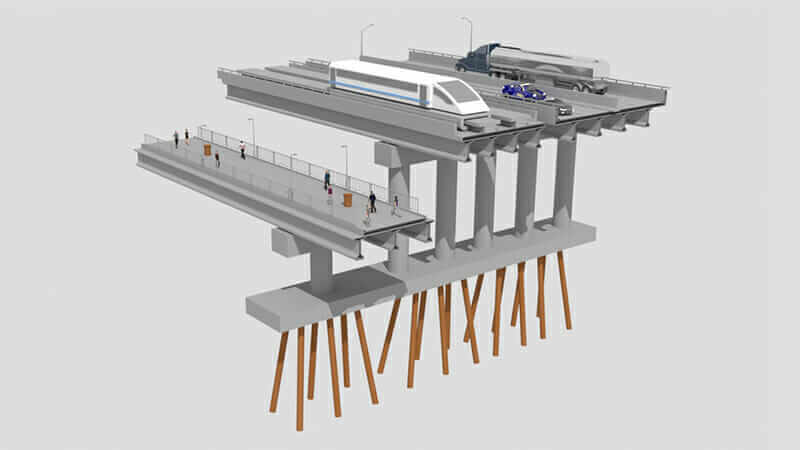 Rendering of the Unity Bridge plan. Courtesy Orange Park High School in Orange Park, Florida. Anybody who has driven across creaky bridges or ridden on pockmarked roads can agree: This country is in the midst of an infrastructure crisis. Roads, bridges, and rails, underfunded for decades, desperately need funding and a new generation of engineers to help rebuild the U.S. transportation network. The funding gap, according to the American Society for Civil Engineers, is an incredulous $4 trillion. Luckily, there’s a new generation of engineers primed for this and other challenges. And if they’re anything like the team at Orange Park High School in Orange Park, Florida, the future of infrastructure may be in good shape. Mentored by teacher Doug Barrows and volunteers, including local mechanical engineer Joseph DeMarco, the team of nine aspiring architects and engineers recently finished third in a nationwide architecture and engineering competition held by the Construction Industry Round Table (CIRT) and ACE Mentor Program of America. 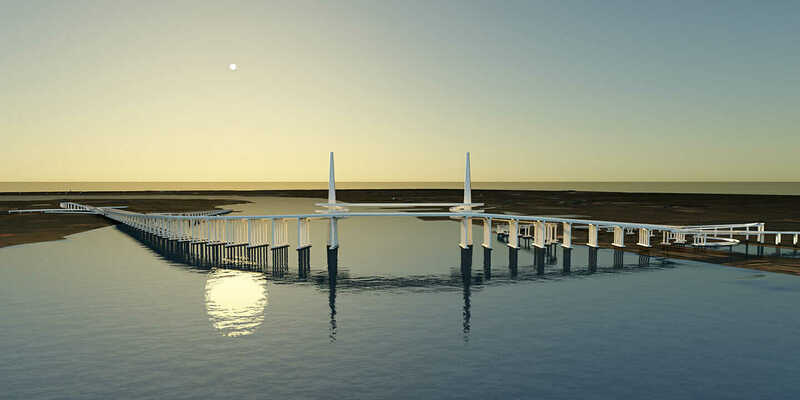 Rendering of the Unity Bridge plan. Courtesy Orange Park High School. Orange Park High School has been involved in the ACE Mentor Program—which engaged 8,000 students across 50 states and Puerto Rico at the national level this year—for 10 years, with last year’s team also reaching the finals and taking home a $2,000 prize for designing a conceptual health-care clinic. At a time when encouraging STEM learning has become a focus for many science educators, this dedicated, industry-wide offering gives students a unique opportunity to work with real budgets and create detailed plans. The Unity Bridge offers an incredibly thoughtful, comprehensive plan, including traffic modeling and multimodal transportation. 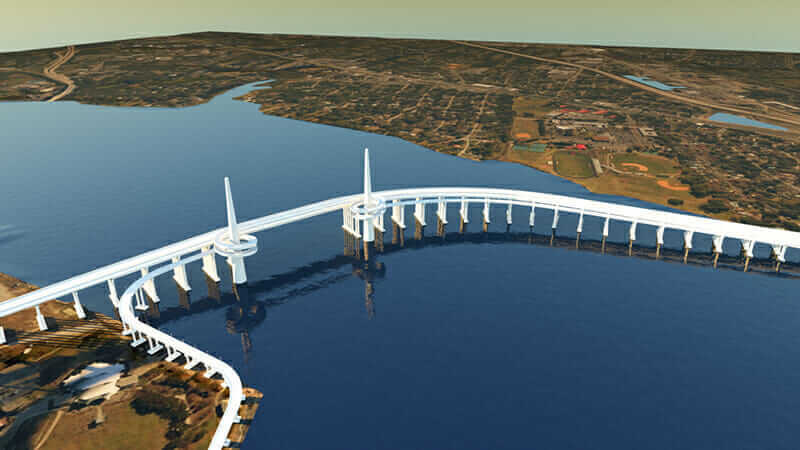 Inspired in part by the work of Santiago Calatrava (specifically the asymmetrical, single-mast Puente de la Mujer Bridge in Buenos Aires, Argentina), the student’s design includes spiraling walkways, pedestrian paths, and a track for the Jacksonville Skyway monorail. 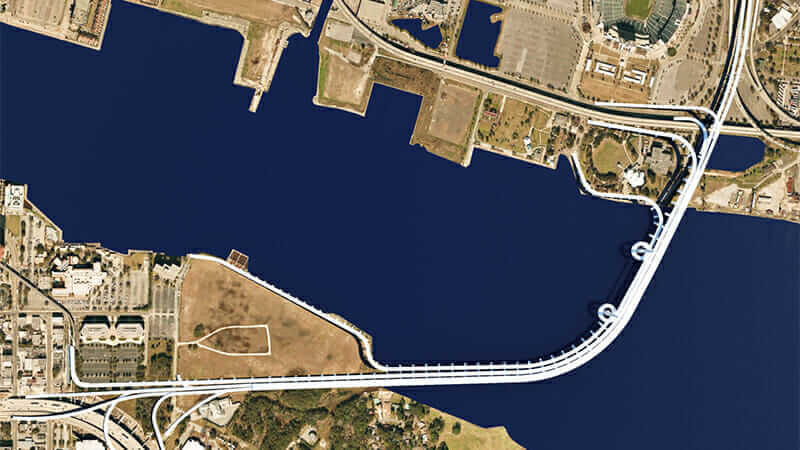 The bridge incorporates 10 lanes of traffic that will help alleviate congestion in the city’s dense riverfront districts, especially around the Hart Bridge Expressway and Martin Luther King Boulevard. 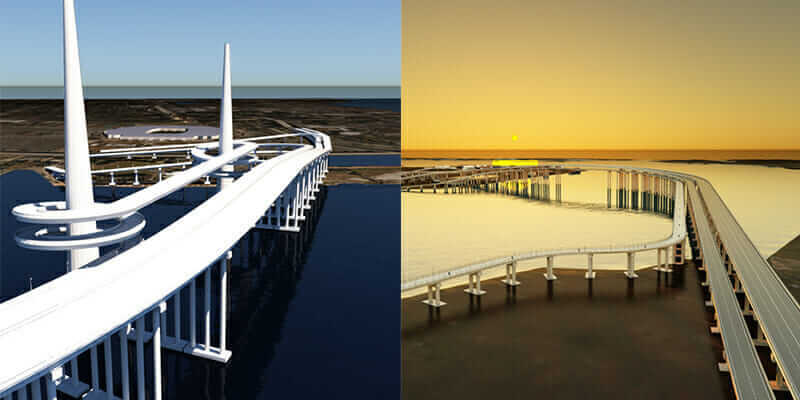 It also helps connect Skyway routes—in effect closing the loop, linking disparate lines on either side of the river and creating a more efficient public-transportation system. Team member Michael Mancil, 16, reached out to Autodesk and obtained software donations, which proved to be one of the most valuable aspects of the design process. It enabled the team to learn how to use industry-standard software such as Autodesk Revit, InfraWorks 360, and 3ds Max and get invaluable real-world experience. Most engineers don’t learn complex design software until college, and the Orange Park team—also comprising Brian Reed, Tom McClymont, Michael Nee, Christopher Osborne, Natalia Cordero, and Camden Dean—has already used them for an entire project cycle in high school. The team’s third-place finish—which earned them a $2,000 prize—at the recent award show in Washington, DC, was a gratifying end to the project. The benefits of the competition will continue to enrich their potential professional lives: Liam DeMarco has a better idea of what career he wants to pursue in college; Childress praises the networking opportunities; and Mancil now has an internship at an architecture firm, thanks to his real-work experience.